Cardiovascular disease is the number one cause of death and disability in the human population worldwide. These diseases still primarily affect more men than women, but in women has become the leading cause of death in women over 65, especially after menopause. Cardiovascular disease (CVD) is just one form of a broad range of heart diseases which include coronary artery disease which is diseases of the blood vessels, heart arrhythmias, and infections of the heart, rheumatic heart disease, peripheral vascular disease, cardiomyopathies, and congenital heart defects. 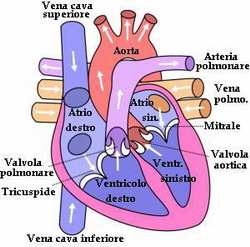 CVD refers to diseases of the heart and blood vessels which in addition to coronary artery disease involve atherosclerosis which can lead to heart attack, CVD also includes cerebral vascular disease which is disease of the blood vessels of the brain which can lead to stroke, and hypertension or high blood pressure. 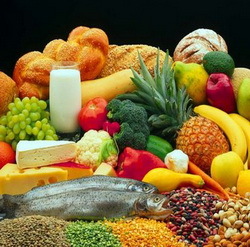 CVD is also a disease of lifestyle in particular a sedentary life style, a disease of abnormal nutrition with many of those suffering from these diseases eating a high fat diet and being overweight, and a disease where for many genetics is involved. The primary cause of heart attack and stroke is atherosclerosis also known as a type of hardening of the arteries wherein cholesterol and other substances in the blood buildup in the walls of the arteries. 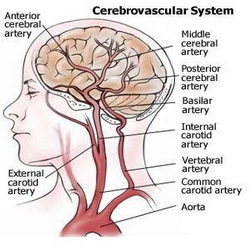 As buildup continues, the arteries to the heart or brain begin to narrow, reducing the flow of oxygen rich blood and nutrients to the heart and brain. Another type of buildup in the arteries is called plaque which is a buildup of substances that circulate in the blood such as calcium, fat, cholesterol, fibrin, and cellular waste on the blood vessel wall causing the artery to lose its elasticity and its ability to expand and contract which restricts blood flow, and once this occurs the artery becomes vulnerable to rupture by the plaque and blockage by blood clots which are caused by platelets rushing to the defense of the ruptured blood vessel wall to seal off the breach. 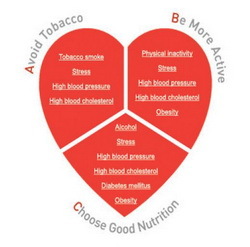 Cardiovascular disease is preventable if proactive measures are taken and by doing so the rising death rate from heart disease worldwide can be reduced.